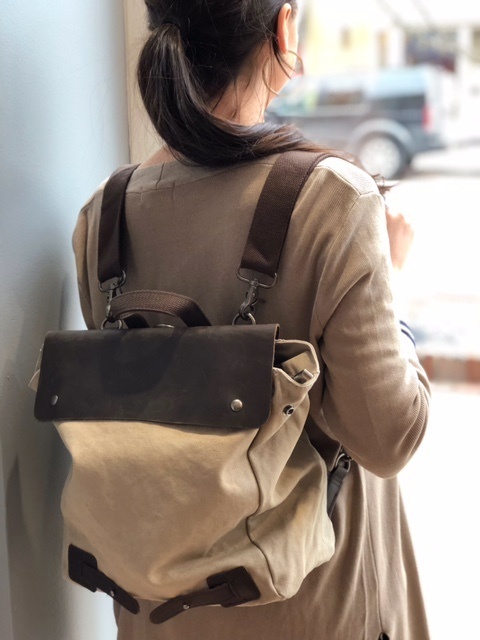 Canvas and leather backpack. Heavy duty hardware allows the option to switch the strap to a shoulder bag. 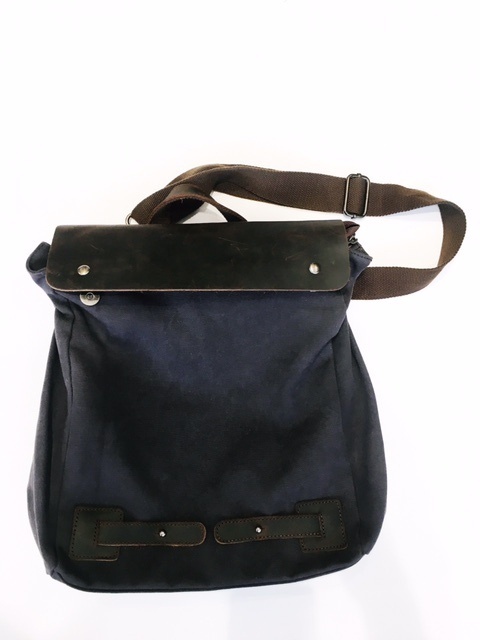 Adjustable straps, zippered interior and exterior pockets. Available in black or beige.